Can the First Family overcome Edward and Bella? Jan. 20, 2009: President Barack Obama and his wife Michelle dance on stage during MTV & ServiceNation: Live From The Youth Inaugural Ball at the Hilton. Finally, Barack Obama has a nomination he doesn't need to push through Congress. 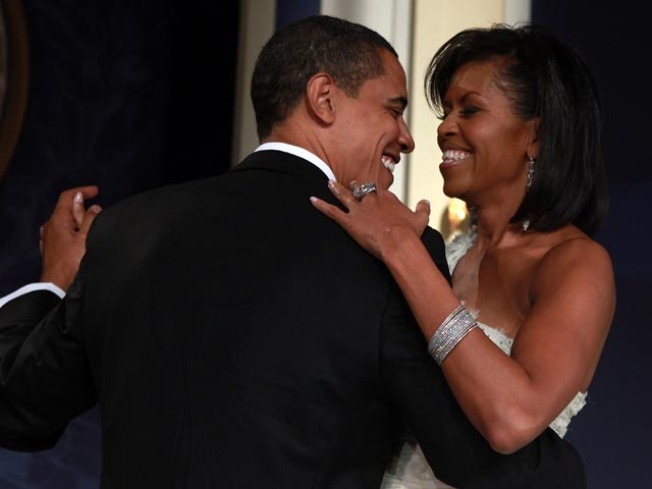 The president and First Lady Michelle have been nominated in the category of "Cutest Couple" for the 2010 Nickeloden's Kids' Choice Awards. The Obamas are up against some pop culture juggernauts: Twilight's Edward and Bella, Bella and Jacob and Avatar's Neytiri and Jake. Kevin James is hosting the show, which will be presented at UCLA's Pauley Pavilion on March 27. The complete list of nominees has been posted on nick.com.